The Canadian dollar has seen its share of volatility this year as trade tensions between the U.S. and Canada reached a fever pitch over the weekend, and analysts don't anticipate an upside for the currency any time soon. The Canadian dollar has seen its share of volatility this year as trade tensions between the U.S. and Canada reached a fever pitch over the weekend. The currency is down more than five per cent against the U.S. dollar since hitting its highest point this year at the end of January. Even as it moved higher on Wednesday after the U.S. Federal Reserve's decision to raise interest rates, Mark McCormick, head of North American foreign exchange strategy at TD Securities, said the loonie "is probably the market's most hated currency now," based on his discussions with investors. "The [loonie's] movements are seemingly random as it waffles from headline to headline. It has decoupled from some of its key drivers, though we pin this down to NAFTA noise," McCormick said in a note on Wednesday. "It also dodged a bullet from the [recent] elections in Ontario, especially since one of the major themes underscoring the weakness is the divergence of economic policy with the U.S."
With oil prices, which are considered one of the traditional drivers of the loonie in an energy-driven economy, also facing the risk of a downturn, McCormick doesn't see the currency strengthening against its U.S counterpart in the near future. "Our forecasts indicate that we are unlikely to make a sustained push below US$1.30 any time soon," he said, referring to the value of the U.S. dollar against the loonie. But Bipan Rai, head of North American foreign exchange strategy at CIBC Capital Markets, says "hate" is a strong word to describe the Canadian dollar's movements of late. "It's lost its mojo this week for sure, but amongst the G10 currencies, it's still done better than the Japanese yen. So, I wouldn't necessarily say it's the 'most hated,'" Rai said. "Is it the most confusing? Sure – considering that the political backdrop and that the trade relationship has become very strained, but the currency is close to flat on the week versus the greenback." 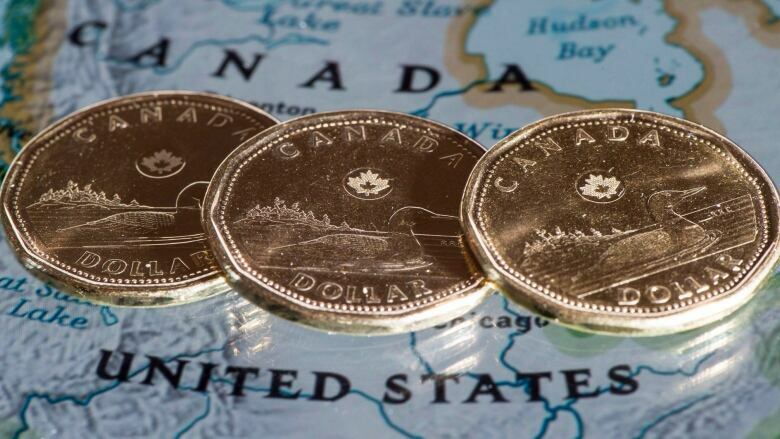 The Canadian dollar is down less than one per cent against its U.S. counterpart in the past week, despite all the negative trade headlines that have come out since the G7 summit this weekend. But Rai warns there are definitely more downside risks for the loonie going forward than upside momentum. "Yes, the Bank of Canada is expected to hike rates next month, but that is largely in the price and it's doing so amidst [economic] data that hasn't been that stellar," Rai said. He was referring to data such as last Friday's jobs numbers, which showed that Canada unexpectedly lost 7,500 jobs in May. "Our call is for the loonie to lose ground against other major currencies including the euro and Swiss franc. Against the U.S. dollar, the outlook is less clear given that the greenback is very much overvalued." Strength in the U.S. dollar this year has resulted in weakness across all major currencies. The U.S. dollar index, which measures the greenback against a basket of major currencies, is up almost two per cent this year. That compares to the index losing almost 10 per cent last year.